Well, dual iso managed to save 'DUAL2086.CR2' successfully... so that worked. Thanks everybody for the tests. 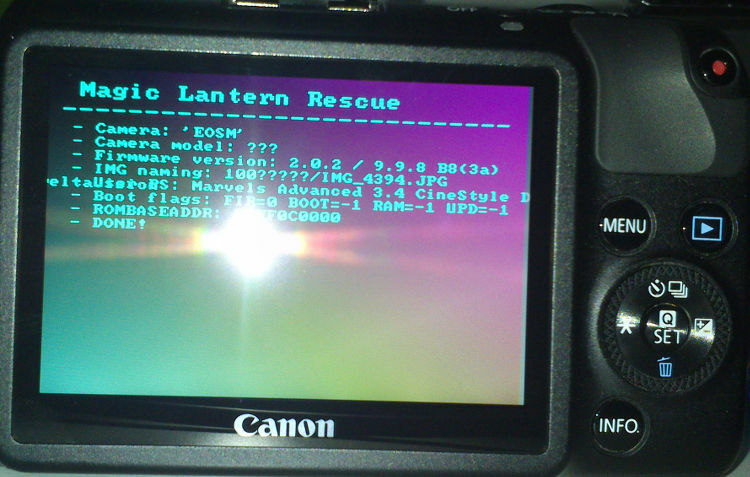 Here's a follow-up of this experiment: a nice error page if you load ML on a different camera or firmware version. Where can I get that autoexec.bin? can you try the one from my last post too? I'm currently at the airport boarding flight to Puerto Rico and won't be back until March 27th. and it is totally encouraging to see so many models succeed this test! someone who can try my posted on on a EOS M ? Thanks @Licaon_Kter for giving us a hand regarding M1. 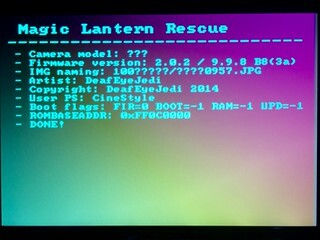 Is there a solution for the background on 50D, 5D2 and 7D? Pelican, a solution requires a problem to be solved. IMO there is no problem. It looks different and I don't care. There are other priorities, I hope! Does this test binary work on external monitors? The bootcode can also receive input chars, but how ? using a serial connector through the battery connector or USB ? On 550D at least, the grip (connected through by battery port) can be upgraded via the camera body. Canon must have a dedicated device to do low level debugging/finetuning through bootcode. I would expect USB or HDMI dongle. Olympus uses a special HDMI dongle. If you connect it to Olympus EMx and power one camera, then it switches into debug mode. This dongle acts as input/output for debug commands (but "output" also changeable to camera display). And private person can't buy HDMI encoder ? @A1ex: Can You create a FIR for 40D? Thanks in advance. Autodetection code is based on the strings from 400D and 5D classic bootloaders (hopefully 40D is similar). Loaded this onto my cf card (7D). When I turned on the camera, the led flashed a couple of times and nothing. The autoexe.bin used was downloaded from the link in Alex's 1st post. Should I be doing anything else to "run' it? 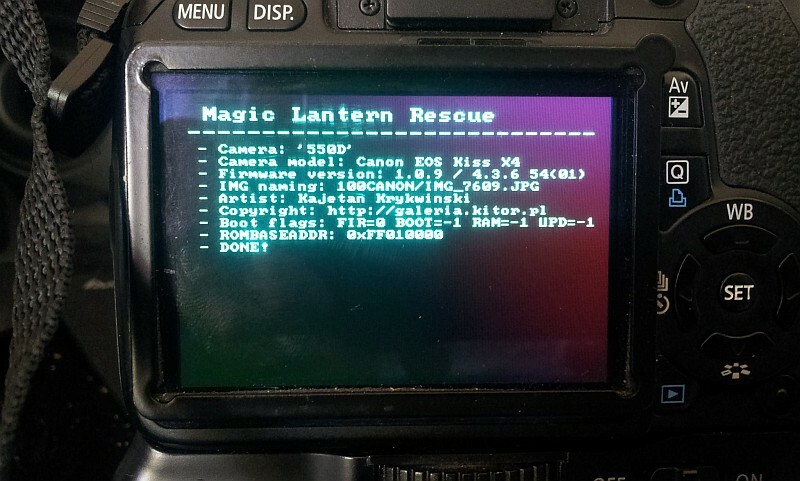 Yep, the card must be prepeared for "normal" MagicLantern boot, you just replace autoexec on working card. @alex - I'll try on 30D tomorrow. Thanks for the reply. That's what I did, Just replaced the autoexec.bin on one of my ML CF cards.